News | Puff, the Magic Dragon? 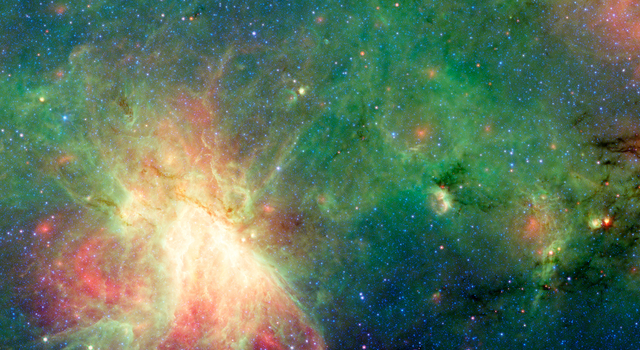 A dragon-shaped cloud of dust seems to fly with the stars in a new image from NASA's Spitzer Space Telescope (bottom). In visible light (top), the creature disappears into the clouds -- perhaps it's "frolicking in the autumn mist" like Puff, the Magic Dragon, from the famous Peter, Paul and Mary song. The infrared image has revealed that this creature, a dark cloud called M17 SWex, is forming stars at a furious rate but has not yet spawned the most massive type of stars, known as O stars. Such stellar behemoths, however, light up the M17 nebula at the image's center and have also blown a huge "bubble" in the gas and dust that forms M17's luminous left edge. 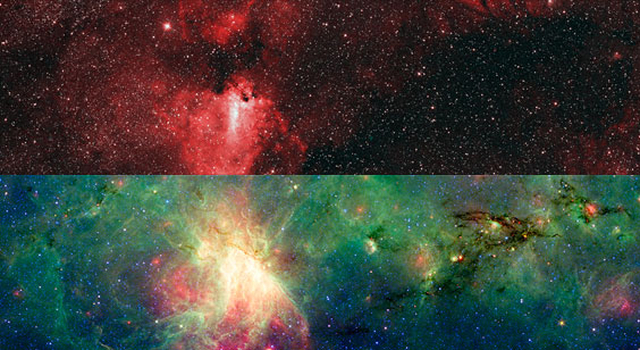 The bottom image is a three-color composite that shows infrared observations from two Spitzer instruments. Blue represents 3.6-micron light and green shows light of 8 microns, both captured by Spitzer's infrared array camera. 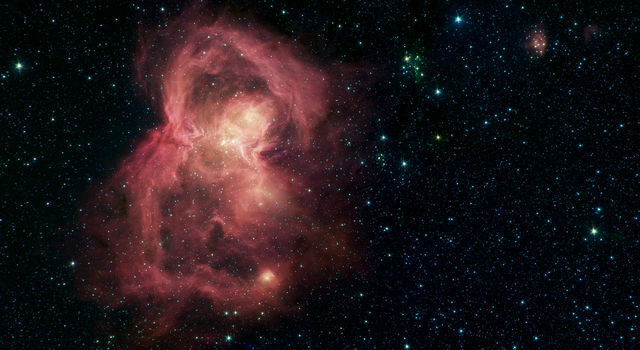 Red is 24-micron light detected by Spitzer's multiband imaging photometer. 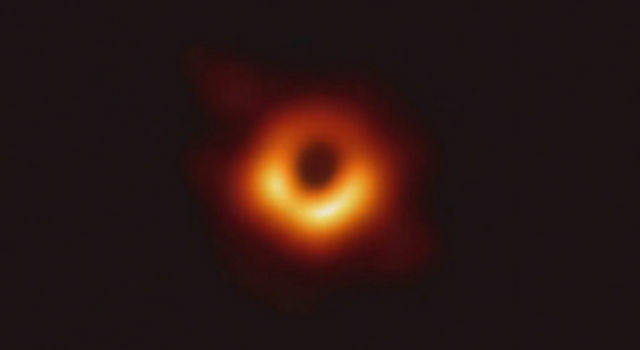 The bottom visible-light image is a composite of visible-light data from the Digitized Sky Survey (DSS) from the UK Schmidt telescope. 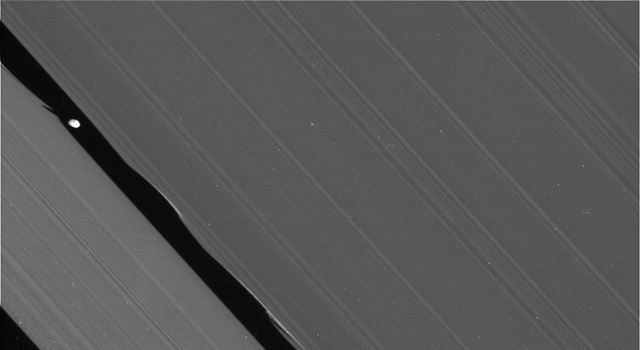 The image combines two observations that represent the blue and red light from the region. 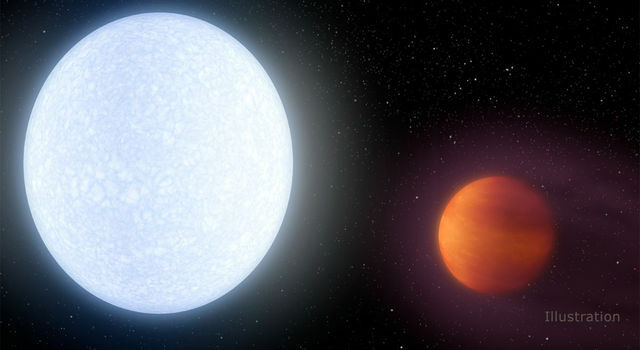 For a more detailed feature story about the science in this image, visit http://www.spitzer.caltech.edu/news/1143. 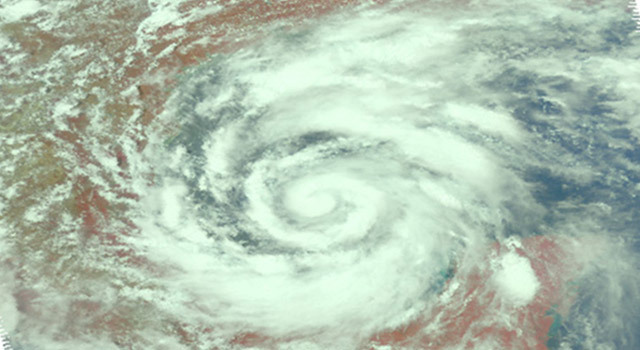 This image was taken before Spitzer ran out of its liquid coolant in May 2009, beginning its warm mission. NASA's Jet Propulsion Laboratory, Pasadena, Calif., manages the Spitzer Space Telescope for NASA's Science Mission Directorate, Washington. Science operations are conducted at the Spitzer Science Center at the California Institute of Technology, also in Pasadena. Caltech manages JPL for NASA.